Erin Coughlin, daughter of NYPD Sergeant John Coughlin, is completing her training as a cadet at the Police Academy this year. Ms. Coughlin is following in her Dad’s footsteps but for her the career choice of being a cop for the City of New York brings with it a special motivation. 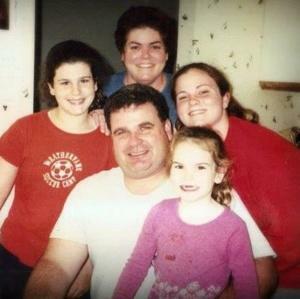 Erin’s father died on September 11, 2001 when the Twin Towers collapsed—he met his death helping folks at the World Trade Center escape the burning buildings. Still, Erin can’t shake her father’s shadow. A few weeks ago, she was taking a test in a room with pictures of cops who had died in the line of duty. This entry was posted in Political/Social and tagged 9/11, Erin Coughlin, NYPD, Police Academy, Sgt. John Coughlin, Twin Towers, World Trade Center. Bookmark the permalink.